The increasing insistence of public policy on the economic and social impact of research has led to changes in the models of the governance of science. The traditional model, based on the autonomy of science, has been gradually replaced by new models that place greater emphasis on processes of accountability within the framework of a greater sharing of responsibility between the state and researchers. This article discusses the extent to which this process manages to achieve some balance regarding the different impacts of research and the different scientific fields. It analyses these developments through a case study of the recent public debate on the new model of funding of research units in Portugal. 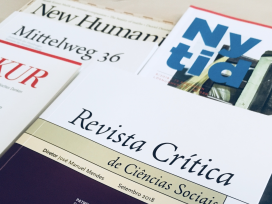 The conclusion of an extensive research project about a decade-long period of science and technology policies in Brazil (Baumgarten, 2003) has led to a reflection on issues that are relevant to understanding the processes of production and dissemination of scientific knowledge in the world today. The data of that research have raised questions about assessment and its role as a tool for managing the sector of Science and Technology. This article discusses this topic through a critical rereading of the existing literature, which, together with the data collected during the research work, has made it possible to form a picture of assessment and the relations between the state and scientists. Some of the issues related to these problems are addressed in this article. This paper presents some of the results of a study on the daily life of people at genetic risk for hereditary cancer. Following a qualitative methodology, this study assessed all the work of individual management of that risk, from the time of the diagnosis to the setting in motion of the mechanisms, strategies, and conceptions that allow people to give meaning to what has happened. Based on individual reports, the analytic perspective regarding the social representation of the disease is structured around the time that cancer “takes away” and the time that hereditary cancer “gives”, and it points to the importance of an attitude of positive acceptance of the risk, expressed in both individual and collective hopes for a better future, which is guaranteed by scientific and technological evolution. The subjects that face a genetic risk that is beyond their control put pressure on science (genetics) and medicine, whose power and prestige are never questioned. The Portuguese economy has undergone many significant transformations since the democratic revolution of 1974 and the acession to the EEC in 1986. A deep integration into the EU and an original and unexpected context of Iberian integration are important parts of the new picture. Changes in productive specialization, the emergence of a tertiary public economy, the centrality of external financial relations, and the new condition of Portugal as a net investor abroad and as a country of immigration are some of the main processes that are relevant for the analysis of the governance of the Portuguese economy in this period. This analysis involves studying the mechanisms of coordination of collective action. The state, as agent of the “relational order”; the market, as an increasingly narrow site of governance; and the community, as the expression of Portuguese internal specificities, are taken in this text as major institutional arrangements and the bases of economic governance. This article explores some relations between the processes of globalization and the elaboration of national education policies. 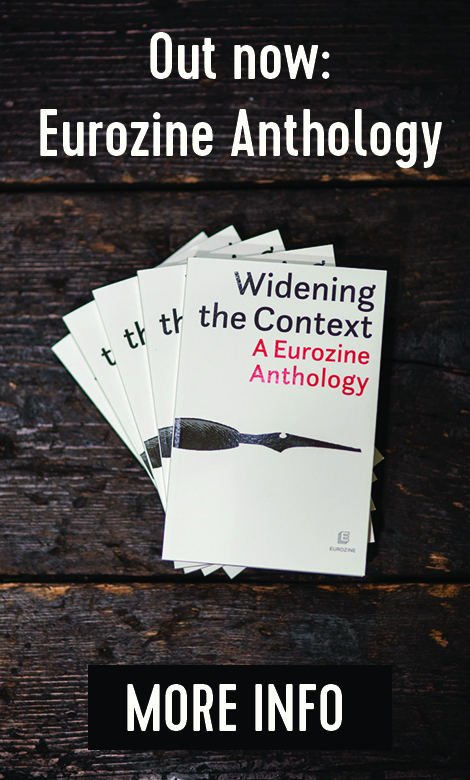 It seeks to understand the way in which the process of European integration became a relevant context for the formulation of a specific measure of education policy – the creation of a subsystem of Vocational Schools in Portugal in 1989. This innovation was also the expression of a national political agenda for education which was full of dilemmas and, as the author tries to show, undoubtedly shaped by the conditions, challenges, and solutions of the Portuguese educational reality at the time. In the last decades of the twentieth century, the image of irrepressible globalization imposed itself in an almost hegemonic fashion. Proposed as a historical necessity, this paradigm has been exerting a remarkable influence. For instance, the political project of European integration is frequently presented as the necessary answer to the challenges of globalization and to its main protagonist, the United States. It is within this socio-historical framework that I shall discuss what is perhaps the main political challenge of the present generation of Europeans – how to imagine a European-wide democracy, in which citizens of various nationalities within a multilevel political system might participate. My answer to this question points to the need to reconstruct the modern conception of citizenship, in a manner consistent with the socio-historical conditions of the modernity in which we live. This text seeks to problematize the complex and ambiguous relation between the media and the processes of production of citizenship. As an alternative to the concept of public sphere, the text proposes mediatic and political publics, which allows the restitution of the dense network of factors that condition the reception of media contents. 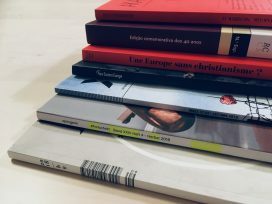 The text also pays particular attention to the ideological function of the media and, based on two concrete cases, it seeks to explore the possibility and conditions of the presentation of alternative grammars that can enhance the construction of a common, but not necessarily consensual, world. This text seeks to reflect on the territorial dynamics of cultural markets, discussing the way in which these dynamics express tensions that are inherent to the logic of cultural production/creation, to the priorities imposed by the growth of cultural markets (competition for small publics), and to the needs of social and political legitimation of cultural activities. The discussion will be based on the analysis of the specific case of the market of music performances in Portugal, using data from a recently finished research project carried out at CES/FEUC. The results of this project have led to the identification of distinctive features concerning the geography, the times, and the contexts of production of musical performances, which are discussed in the context of the major structuring lines of the current cultural policies (both at the central and local levels) and of the cultural sphere in Portugal. Patrimonialization processes are based on a rhetoric that deifies the notion of identity. Processes of identity construction are also anchored on a sublimated notion of patrimony. The result is an inextricable ambiguity between the two terms. However, not all manners of patrimony create identity, nor do all manners of identity give rise to a patrimony. This recognition allows us to question the way in which processes of identity construction sometimes make use of resources which are granted patrimonial status. But it also allows us to see that processes of patrimonialization don¹t always pursue ends that are related with the preservation of an identity. This text follows the latter line of analysis, since it emphasizes processes of patrimonialization rather than identity construction. The analysis of processes that have taken place in Portugal illustrates, through some empirical cases, the way in which identity becomes a metonymic resource of patrimonialization processes.